On the National List of Threatened Species, it appears in the “Of Special Interest” category. In the 2004 edition of the Red Book of Spanish Birds (Libro Rojo de las Aves de España) it is listed as “Near Threatened”. It is strongly affected by the loss of its feeding and mating habitats. Le afecta mucho la pérdida del hábitat de reproducción y de alimentación. La regulación de los ríos, la contaminación, la "adecuación" de cauces y la urbanización del territorio han provocado el declive de la población; a eso hay que añadir la disminución del alimento provocada por la introducción de peces foráneos. Identification: Small, brightly-coloured bird. Its plumage on its back includes blues and greens, bright and metallic; the area around its belly is orange; and its throat is white, as are the spots on the sides of its neck. Its tail and legs are very short and reddish in colour, and its extremely long and cone-shaped bill is a very notable characteristic, being the only feature that differs between males and females: in males, the lower part of the bill is black, and in females it is orange. 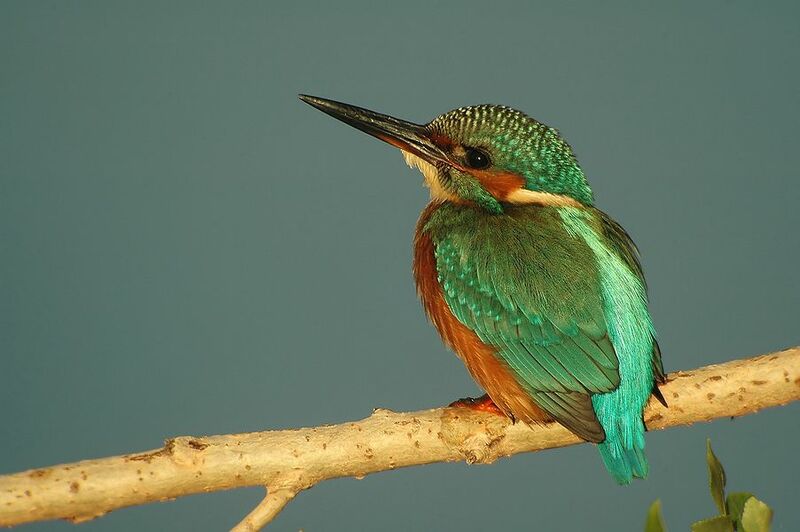 Juveniles are very similar, although their colouration is turquoise instead of blue. Song: It makes a high-pitched and penetrating "teet-teet". Diet: Although it feeds on fish, it also feeds on larvae and aquatic adult insects, tadpoles, amphibians, crustaceans, and mollusks that it captures by diving from its perch to the water surface. It finishes off its prey in its perch using strong blows. Reproduction: The male digs a tunnel in a sand wall, which he finishes with a chamber where the eggs will be laid. Both sexes are responsible for incubating the eggs and caring for the chicks. It needs an area with good water quality, abundant fish, somewhat thick aquatic vegetation, appropriate perches, and sandy walls for nesting. It these conditions are present, we can find it in lakes, marshes, reservoirs and even in canals and irrigation ditches; despite all this, it prefers the middle sections of rivers. In Spain: It is distributed throughout the entire peninsula, although it is common in western regions, in the north, in Sierra Morena, and in some provinces in Catalonia and Andalusia. In Castile and León: It breeds in all the provinces. Movements and migrations: The populations from south/southeast Europe behave as residents, but the most northern and eastern ones are migrants and move to Mediterranean regions and the Nile Valley to winter. 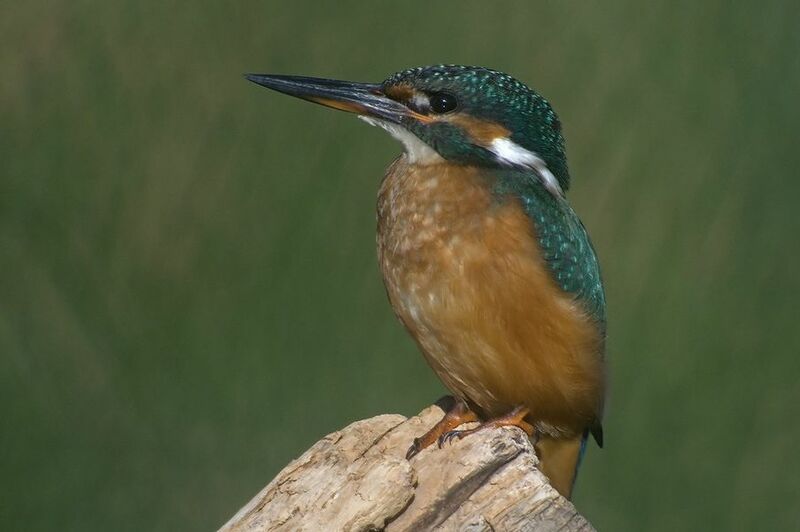 Between late September and early November, the postnuptial migration takes place, and they return to their breeding areas between March and May. 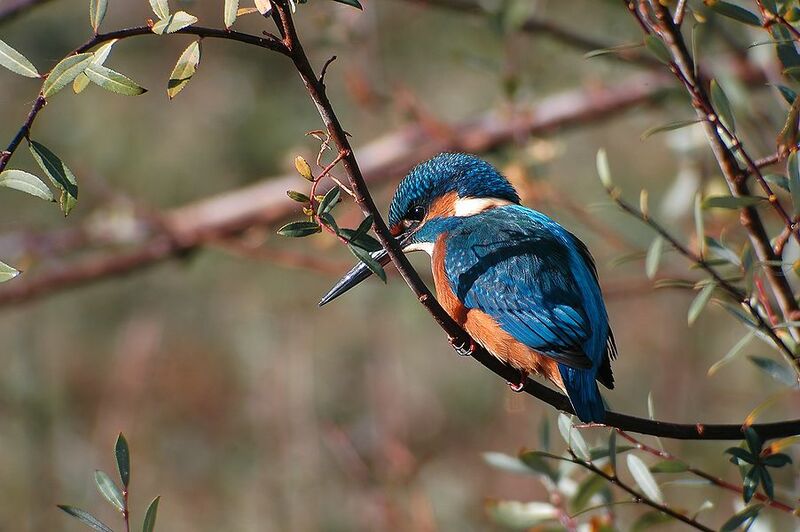 In Spain: There is an estimated population of 4000-7000 breeding pairs. 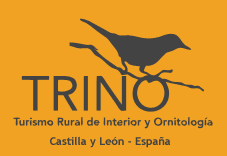 In Castile and León: There is an estimated population of 600-800 breeding pairs.